My travel report from Japan is currently in drafting and will be finished next weekend. In the meanwhile, here's a regular outfit post from last week when I was still on the road. 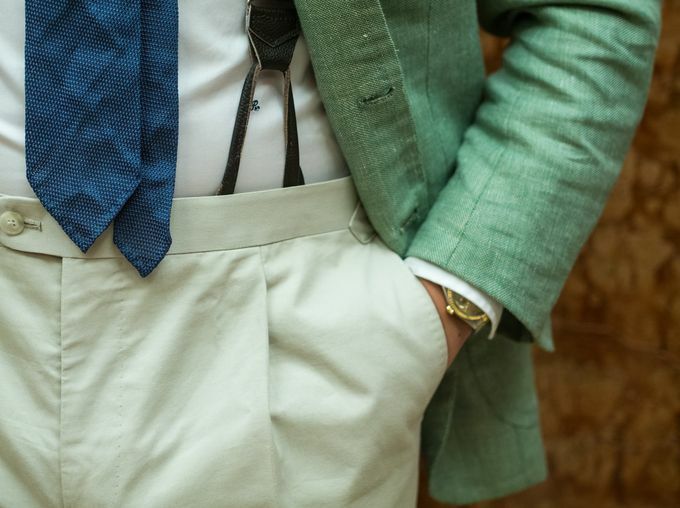 The worn items include my bespoke Sartoria Peluso sport coat, Vaatturiliike Sauma mtm shirt, Viola Milano seven fold grenadine tie, Drake's London pocket square, Vaatturiliike Sauma handmade mtm trousers and Crockett & Jones Cordovan loafers. 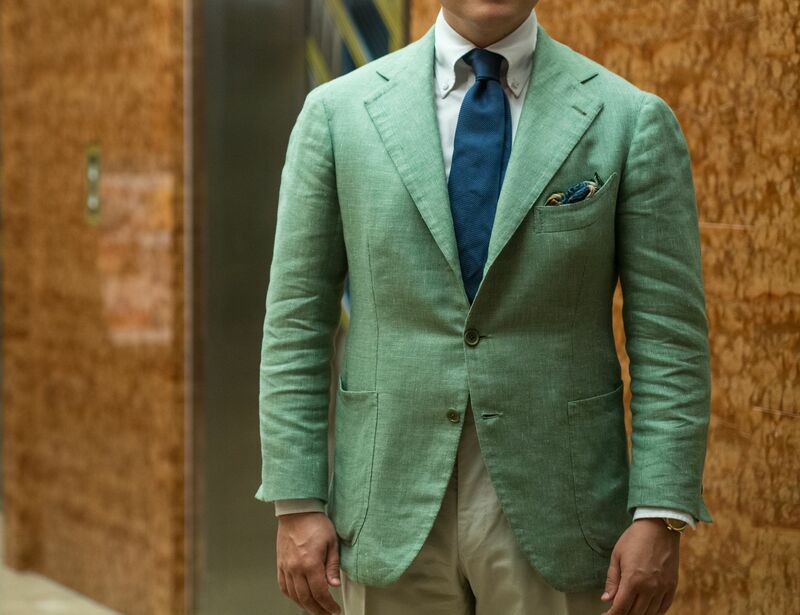 This kind of a sport coat with a soft structure and a timeless classic cut combined with a nice textured summer fabric is truly a keeper when it comes to traveling. 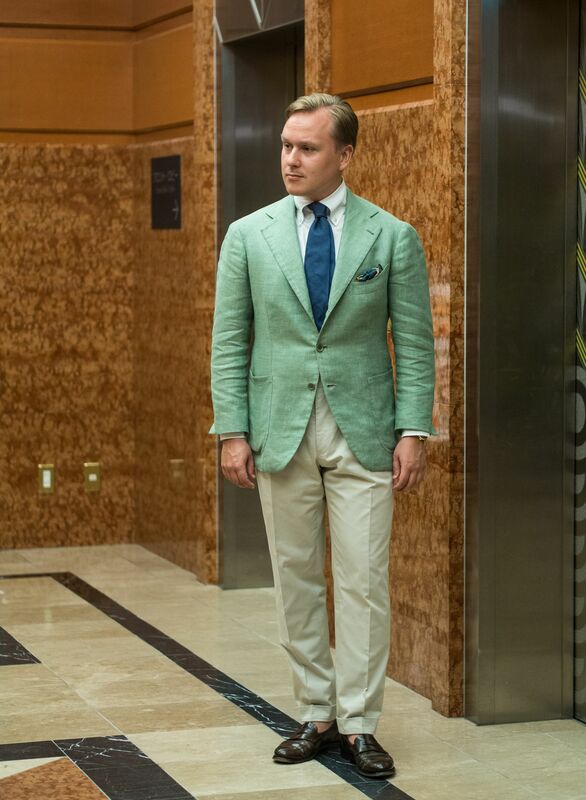 During my trip, I wore this jacket with basically everything from denim to tropical wool odd trousers. 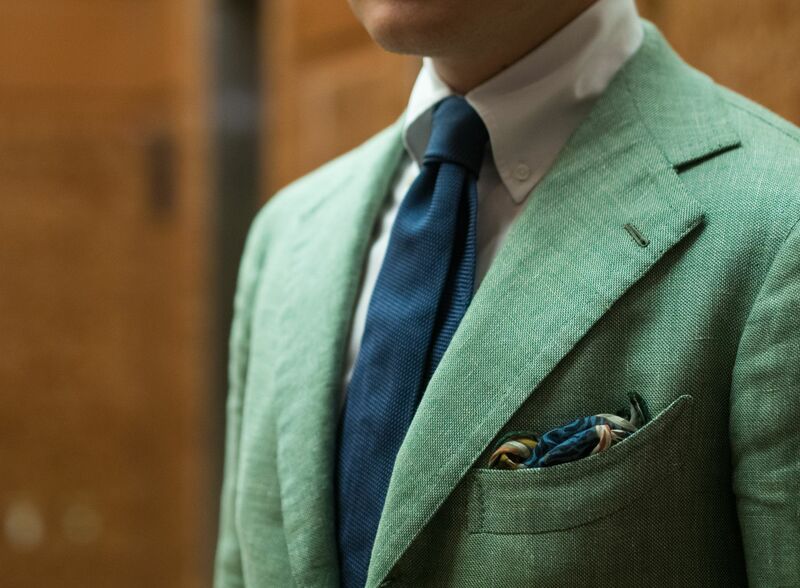 The overall aesthetic is simply as versatile as it gets, and the light green (wasabi, mint, what ever you want to call it) is actually a great match with almost any color. Additionally, the fabric breathes quite nicely making it rather comfortable even on a very hot and humid day. 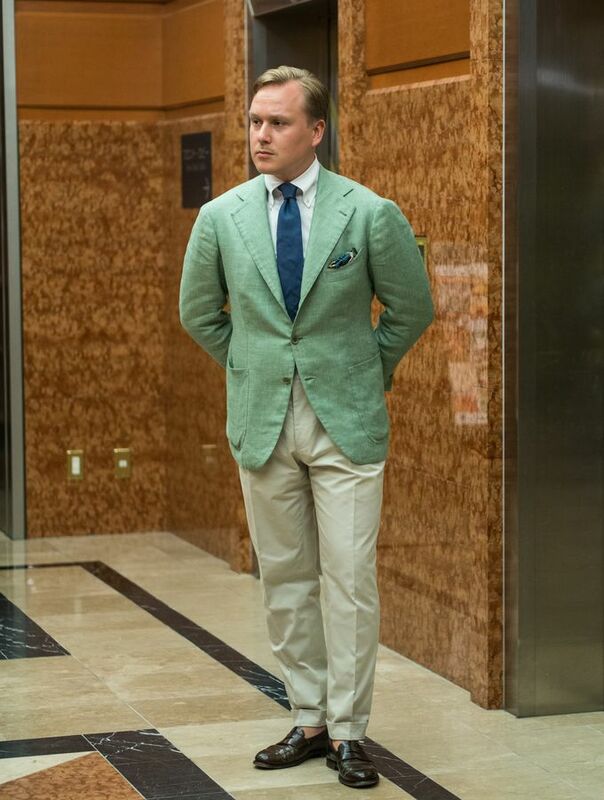 Something that is perhaps noteworthy in this look is that yet again in combines green and blue, colors that regularly don't really go well together. 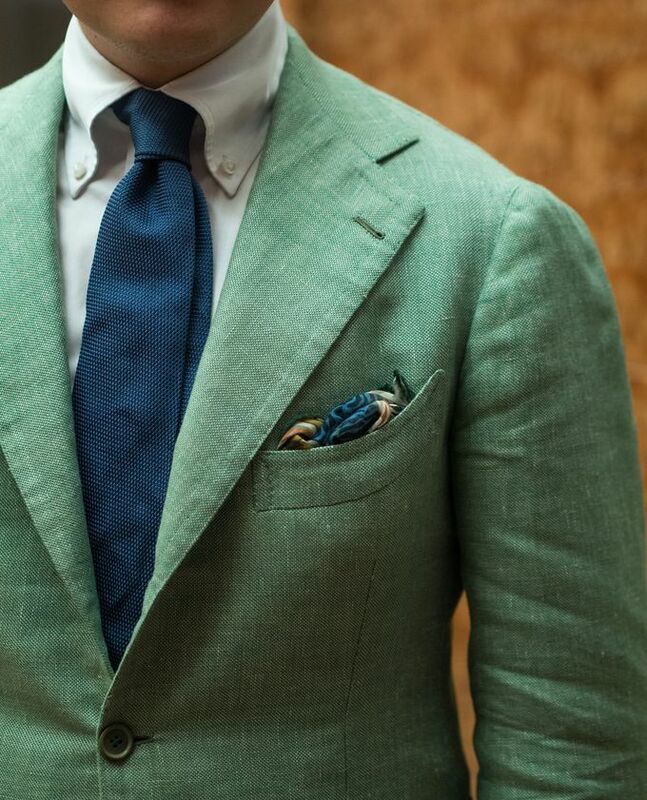 This shade of green however works beautifully with light blue or sea blue as seen here. And finally, my C&J Harvards that also proved to be one of the best travel companions one could hope for. 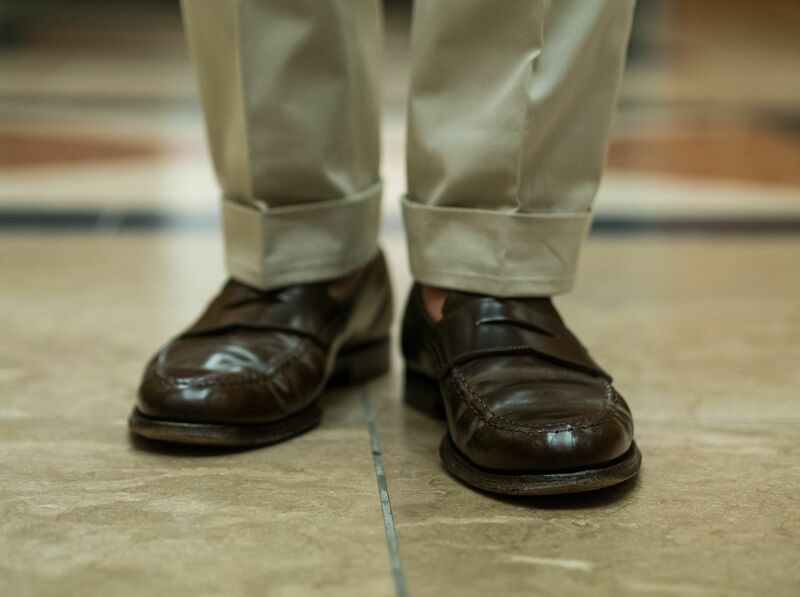 These loafers can literally handle anything from shorts to a formal navy business suit and therefore are fantastic when you can only have one or two pairs of shoes with you. I would also note that the unlined Cordovan is not as hot for your feet as some would tell you, I personally found this pair very comfortable in the humid summer heat of Japan.